Generators are the most expensive piece of equipment in a power system. The cost of a major generator failure to a utility or IPP (Independent Power Producer) owner is not only the cost of repair or replacement of the damaged machine, but also the substantial cost of purchasing replacement power when the unit is out of service. An alert and skillful power plant operator, at manned locations, can sometimes avoid removing a generator from service by correcting an abnormal condition. In the vast majority of cases, however, the event will occur too rapidly for the operator to react and automatic detection and isolation is required. Operators have also been known to make errors and create abnormal conditions where tripping to avoid damage is required. Inadvertent energization and overexcitation are examples of such events. 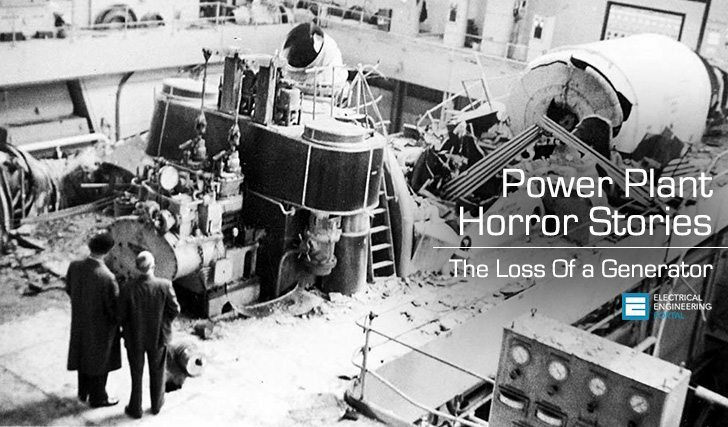 Title: Power Plant Horror Stories – Charles J. Mozina Beckwith at Electric Co., Inc.
Power Plant Horror Stories – Charles J. Mozina Beckwith at Electric Co., Inc.